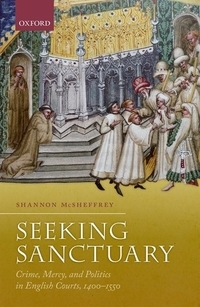 The secular college - in effect, a chantry served by several priests - was in many ways the quintessential religious foundation of late medieval England. The establishment of new monasteries was relatively rare during the fourteenth and fifteenth centuries, with wealthy founders preferring a collegiate model which allowed for greater customisation and better value for money. There have been few modern studies of individual late medieval colleges, and published works have tended to focus on the greatest foundations such as St George's, Windsor. Wingfield College in Suffolk provides an interesting case study as a less elevated house, associated with one of greatest families in late medieval England, and with notable material remains. The college was founded in 1362 by Sir John de Wingfield, the Black Prince's "chief financial and operating officer", who enlarged the parish church to befit its new collegiate status and provided domestic accommodation for its clergy. After John de Wingfield's death, his foundation came into the patronage of the de la Pole family, the earls (and later dukes) of Suffolk, who enhanced both the college's buildings and its staffing. This collection of essays grows out of a conference held in 2012 to commemorate the 650th anniversary of Wingfield College's foundation, for which the organisers assembled an impressive array of authorities on late medieval and Reformation England. The conference was also designed to mark the completion of a funded project on medieval Wingfield, which aimed to produce digital reconstructions of the collegiate and castle complexes. High-quality virtual reproductions of both sites are included in an accompanying CD-Rom, which will be useful for both research and teaching purposes. The dual purpose of the conference has produced a wide range of perspectives on late medieval Wingfield, but also some unresolved tension. Parts of the volume - most notably Robert Liddiard's account of Wingfield Castle - read more like a project report than a contribution to the themes highlighted in the book's title. It is also the case that the foundation's patrons come into rather sharper focus in this collection than Wingfield College itself. The volume contains a scene-setting introduction and nine chapters, together with lightly annotated editions of the college's foundation and suppression documents (oddly placed in the middle of the volume rather than in an appendix), and a helpful timeline of key moments in its history. It is divided into three sections addressing the college's foundation, the medieval structures of Wingfield, and the college's later history and suppression. The large majority of the contributions are well researched, interesting, and highly readable. The opening chapter, by Edward Martin, outlines the landscape and tenurial history of Wingfield, arguing that the site on which the college was established had taken the form of an Anglo-Saxon hall-and-church complex. Mark Bailey presents an elegant account of the remarkable career of Sir John de Wingfield, considering what enabled him and what motivated him to establish his own secular college. 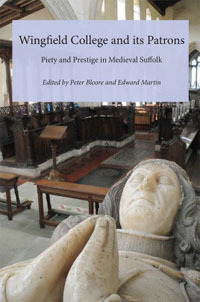 In a chapter notable for its lack of notation, Eamon Duffy places East Anglian collegiate foundations in the context of the late medieval cult of Purgatory. He contends that the absence of requests for urgent post-mortem prayers in Suffolk wills indicates that late medieval people approached the prospect of Purgatory without fear. Section two addresses the relatively rich material survivals from late medieval Wingfield. It commences with Liddiard's essay on the digital reconstruction of Wingfield Castle, which must rely quite heavily on conjecture owing to significant gaps in the evidence. There follow three chapters which deal respectively with the college complex, the fine collection of late medieval monuments in the collegiate (now parish) church, and the church's vestry. John Bloore's extended essay on the digital reconstruction of Wingfield College is in many respects the centrepiece of the volume. Bloore provides both a thoughtful discussion of the difficulties and opportunities of virtual reality reconstructions of historical buildings, and a detailed account of the extant documentary and material evidence underpinning his reproduction of Wingfield College. The collegiate church served as a dynastic mausoleum for the de Wingfield and de la Pole families, and the surviving monuments are discussed and illustrated in satisfying detail by Sally Badham. In his short chapter on the church's vestry, John Goodall argues that this enigmatic space was converted into a closet or parclose by Alice Chaucer, duchess of Suffolk (d. 1475). In many respects, this chapter serves an equivalent function in the volume to the Wingfield parclose: a little set apart from the main body, but inherently interesting, and affording a pleasant view of the interior of the church building. The third and final section of the book contains two essays on the later history of Wingfield. The first, by Rowena Archer, addresses the East Anglian affairs of Alice Chaucer. Although she spent much of her time at Ewelme in Oxfordshire, where she established an almshouse which shared many of the functions of a secular college, Alice maintained a careful eye on her estates in Suffolk and Norfolk. This essay contains relatively little about Wingfield itself, however, and the extent to which Alice Chaucer maintained an interest in the college remains uncertain. The volume concludes with Diarmaid MacCulloch's graceful account of the decline and fall of the de la Poles, and the suppression of the college by Henry VIII in 1542: one of the first collegiate foundations in England to meet that fate. This is a valuable collection of essays which does much to illuminate the context in which Wingfield College operated, and the activities and affairs of its lay patrons. The college itself, however, remains curiously peripheral in several of the volume's contributions. This is partly a matter of the surviving documentation, which is by no means abundant: we have no statutes or financial accounts for the college, although the material evidence (which is skilfully exploited here) is reasonably rich. However, the printed foundation charter and the timeline indicate that there is more to say about the college's history, including its personnel and its everyday workings. The particular collegiate models which may have influenced the founder and his successors also receive limited attention. Moreover, the only essay which treats the college's history in a sustained manner (Bloore) presses this material into the service of reconstructing the college's fabric, rather than providing a systematic outline of its affairs. But despite its lacunae and eccentricities, this richly-illustrated volume contains much of interest, and provides a welcome account of the latest research into a fascinating site.